Contribute pictures, update details or suggest corrections for Yoda (Fly into Battle!). 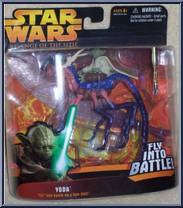 Write a review about Yoda (Fly into Battle! ).